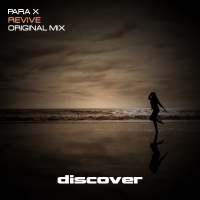 Starting the year in style courtesy of our very own Para X, Discover Records starts the year with a peach of a trancer. Revive is guaranteed to do exactly that - bringing feel good factor and full on big room dance floor action together in one tune. Plenty of suspense and grit in the build, Para X teases the listener as to what delights are in store at the breakdown and he does not let you down. Its all about tension and anticipation and when the chords drop they wash over you in a haze of ethereal bliss. Vocal stabs and ad libs merge with the pads and the topline punches through to perfection. Another faultless production from Para X. 'Revive' is available now from Beatport and iTunes.